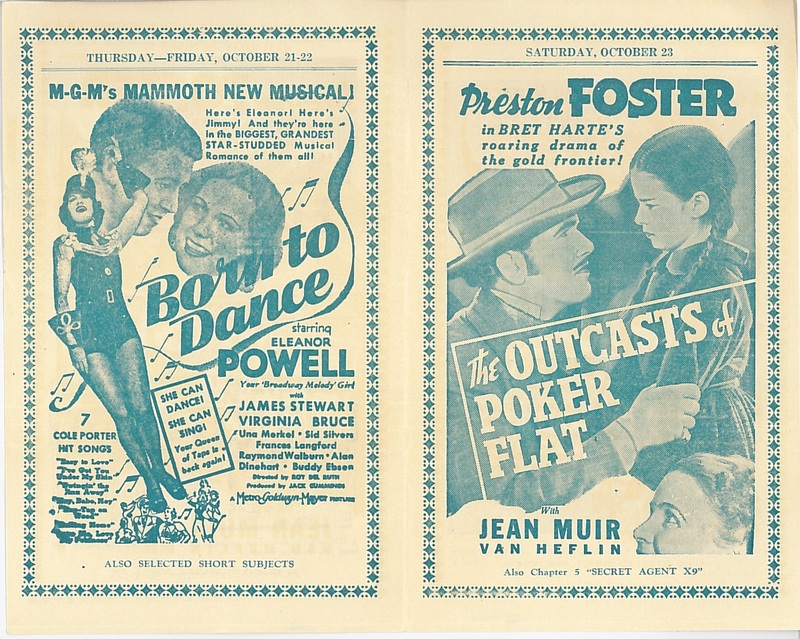 Program for movies shown at the Edinburg Theatre during the week of October 18, 1937. 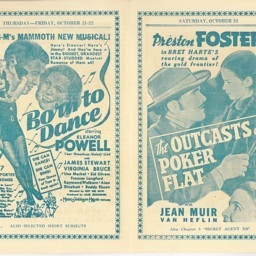 They included New Faces of 1937, One Man Justice, You Can't Have Everything, Born to Dance, and The Outcasts of Poker Flat. 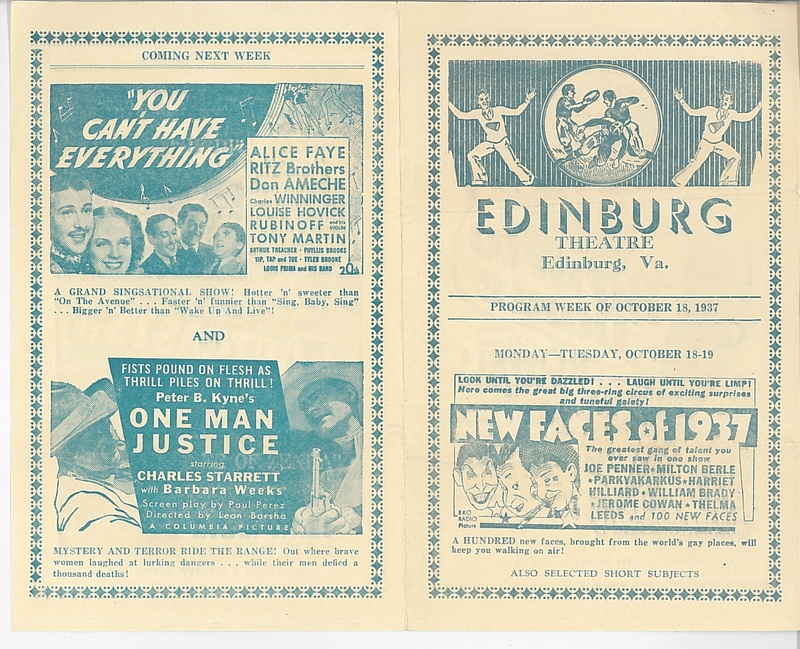 Edinburg Series, Mary Ann Williamson Collection, Truban Archives, Shenandoah County Library, Edinburg, Virginia. 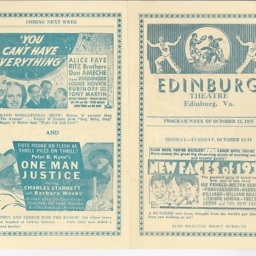 Edinburg Theatre, “Edinburg Theatre Program,” Shenandoah County Library Archives, accessed April 19, 2019, http://archives.countylib.org/items/show/11674.